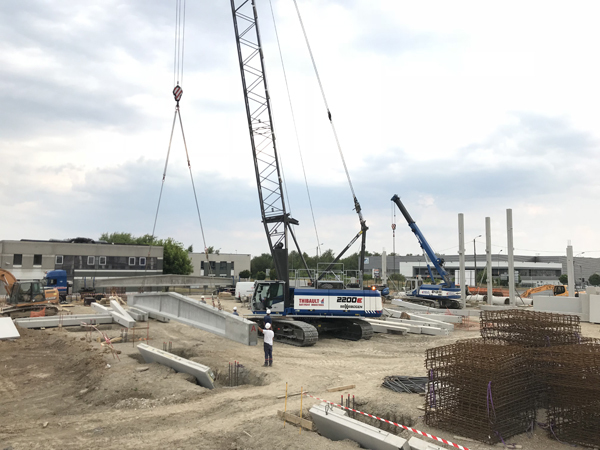 French construction company TBI has put its new 2200R-Series E crawler crane to work at the Parc Vendôme 2 business park job site in Lesquin, Northern France. To cope with the growing needs in the field of industrial, agricultural and even services sector buildings of prefabricated design, TBI chose to purchase this crane. The new TBI 2200R is equipped with a 40m boom topped off by a luffing jib of 13m. 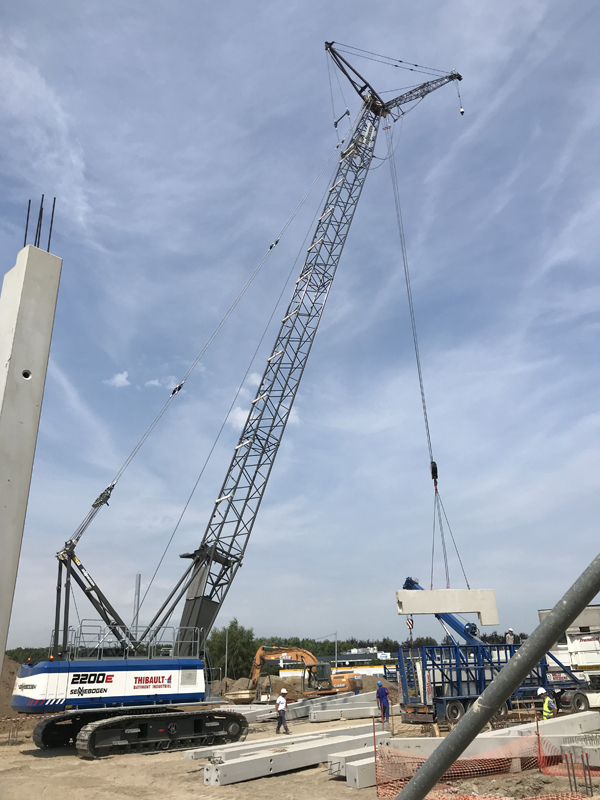 "In this configuration, we can lift up to 5.5t at 27m," says David Baussard, the crew chief who operates the crane at the Parc Vendôme 2 business park in Lesquin. The operator also noted the high level of comfort in the new Maxcab, a feature of the latest-generation Sennebogen 2200R crane. "It's only a few centimetres longer, but its optimised interior layout makes the driving space even more ergonomic and comfortable." This is not the first time TBI invests in a Sennebogen crane. In 2011, it acquired a 2200T with capacity of 80t and a main boom of 37m. Ideal for prefabricated building assembly projects, this crane has been used in all lifting operations and displacement of loads on building sites. "In seven years of operation, the Sennebogen has never returned to base. It was delivered on a job site and since then has moved from one site to another without a break," said Benoît Thibault, CEO of TBI.